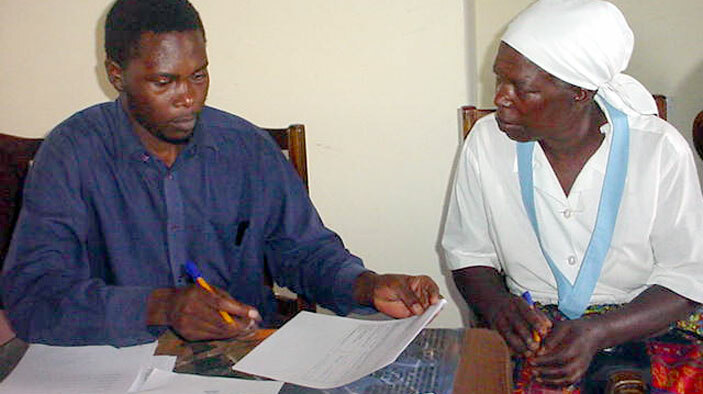 DAI worked to alleviate poverty for the most disadvantaged members of Zimbabwean society through economically empowering activities such as creation of Business Opportunity Centers that provide information and training to youths, legal assistance in writing wills for HIV/AIDS-affected households, increased outreach of financial services to rural areas, and farmer association development. Given the unstable environment in Zimbabwe, the Linkages for the Economic Advancement of the Disadvantaged (LEAD) program was also designed to be flexible in response to changing political and humanitarian scenarios. As the situation deteriorated during the life of the project, LEAD shifted one of its main project priorities from microenterprise development to issues of food insecurity. Mitigating the adverse economic impact of the AIDS crisis also became increasingly important during the project. DAI staff worked with local nongovernmental organizations (NGOs) and private companies to expand their life-enhancing and life-saving services to help the most vulnerable groups in Zimbabwe, such as orphans affected by the HIV/AIDS pandemic. Enhance food security, promote better nutrition and provide additional income for households that are food insecure, caring for vulnerable children and those who are suffering from the affects of HIV/AIDS. Increase income and food security by linking microproducers to new markets, access to finance, technical support, and business skills training as required. Extend financial services to peri-urban and rural households, including communal farmers working with and through operationally sustainable financial institutions. In August 2002, DAI launched the Legal Services Voucher Program to mitigate the economic impacts of HIV/AIDS on poor households. The program included five voucher products covering wills, guardianship, opposed guardianship, maintenance claims, and property transfer. At the end of the first year of the pilot, DAI had distributed 2,062 vouchers for legal services, of which 1,057 were redeemed. A total of 235 NGO field agents were trained and they in turn trained the targeted 2,000 contact farmers. The contact farmers managed to train an average of two members per household resulting in about 47,160 farmers being trained. An additional 90 NGO and government extension field officers were also trained to build up local knowledge on drip-irrigated intensive gardening. The LEAD team built up local expertise and technical know-how by training hundreds of NGO-based field agents, agricultural and extension services officers, and contact farmers. By 2005, 12 business opportunity centers were open for business—surpassing the original target of nine. This program is helping generate access to finance, good quality jobs, and increased incomes for Ethiopia’s poor. DAI works with consortium partners First Consult/Ethiopia, Itad/UK, Enclude/NL, and BCaD.